One of the main claims to fame of the smaller city of Kolomyia is their museum honoring the traditional Ukrainian folk art of egg decorating called Pysanky. 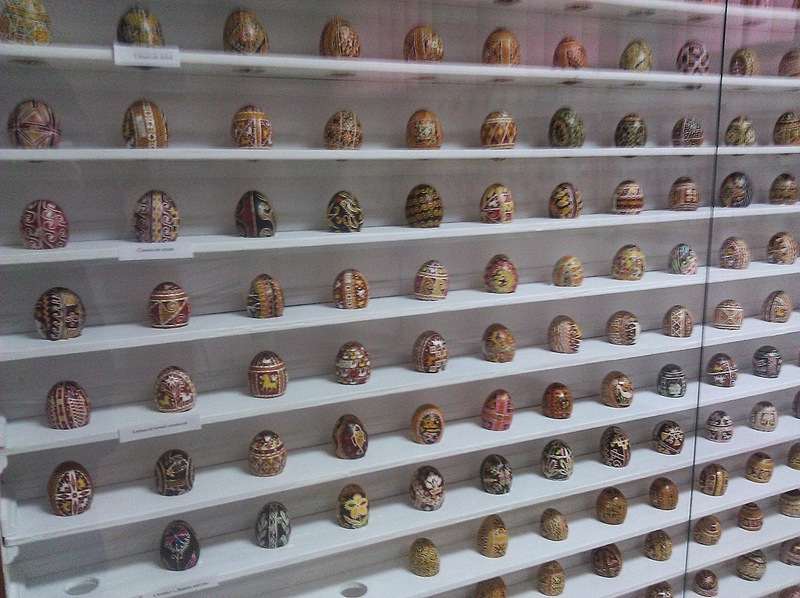 Each region has its own style of creating the eggs along with traditional designs and colors. Eggs created in the Kharkiv area are typically brown in color. 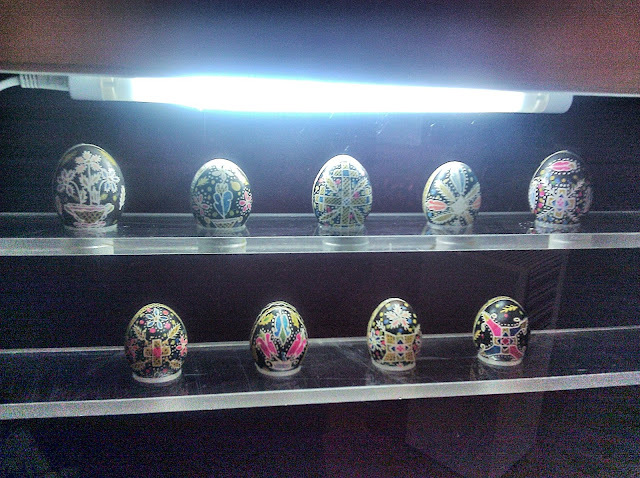 Without a doubt the Pysanky Museum was the best designed museums that we've visited. 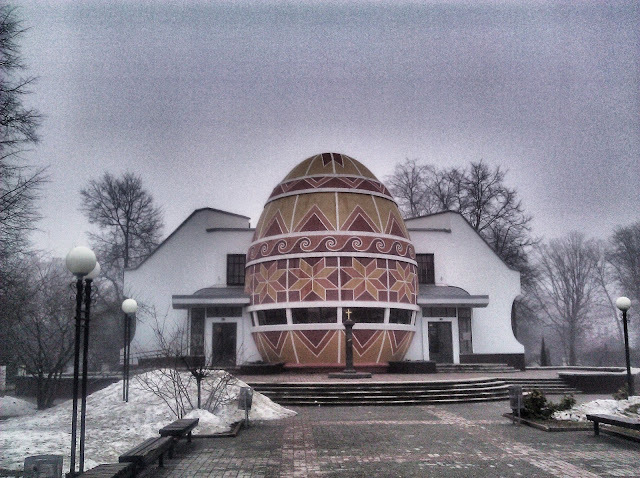 It was almost as if they built it to attract visitors and to let people know "hey, there's a museum of decorated eggs over here." 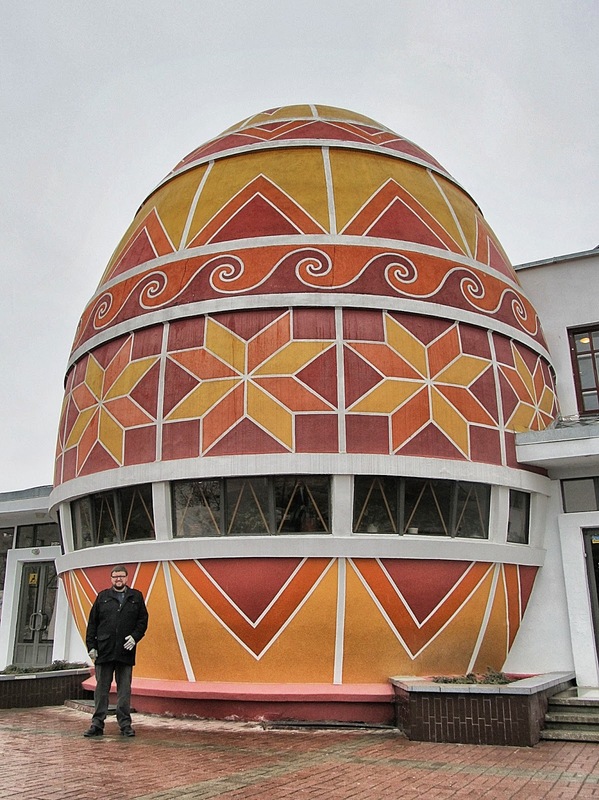 We got stared at for quite a while when we posed in front of the egg. I think we were possibly the only tourist in Kolomyia that day. 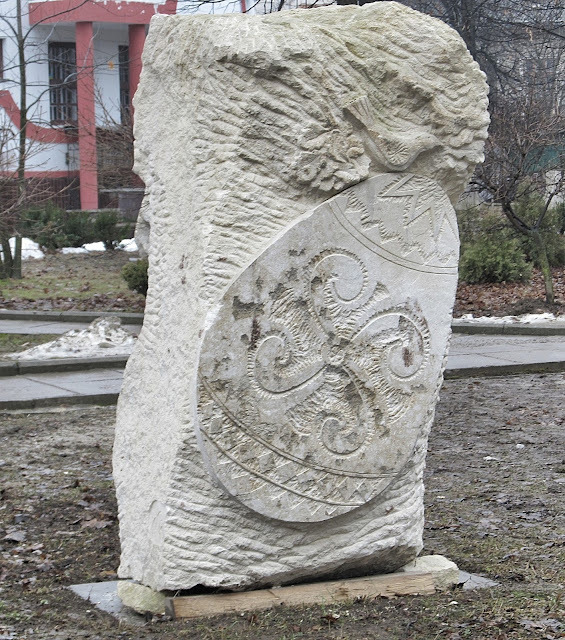 Photos weren't allowed inside the museum so I was only able to sneak a few photos of the massive collection they had on display without the museum guardians catching me. This was just one of the many cases they have on display and in total the museum has over 10,000 eggs in their collection.